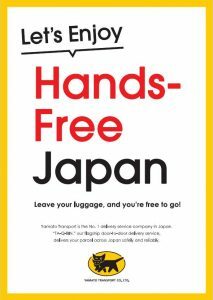 YAMATO TRANSPORT CO., LTD. (Head office: Chuo-ku, Tokyo) announces the new luggage storage/delivery service “BEPPU HANDS FREE TRAVEL” to cater the rising tourists’ needs for luggage handling. In order to provide a convenient and stress-free travel experience to travellers, luggage storage and luggage delivery services are now available upon arrival at designated locations. A trial launch of the service is running at Beppu City, Oita Prefecture. Deposited baggage will be delivered to hotel by 5:00pm on the check-in day. For a limited time, travellers can enjoy the delivery service at a discounted rate of 1000JPY by subscribing to Yamato Transport’s YouTube channel and giving a thumbs up to the promotion video of BEPPU HANDS FREE TRAVEL. Luggage will be delivered to the designation accommodations on the same day. Please refer to the homepage for the reception hours at each handling facility.